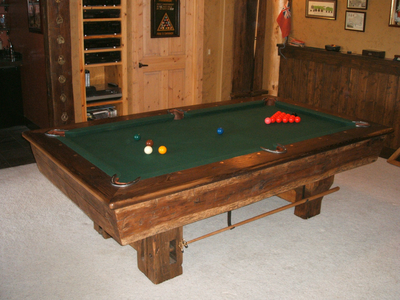 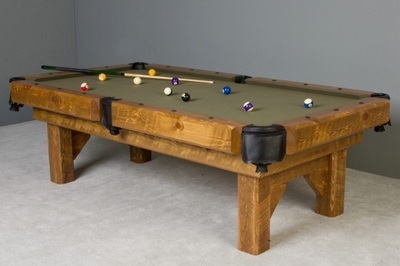 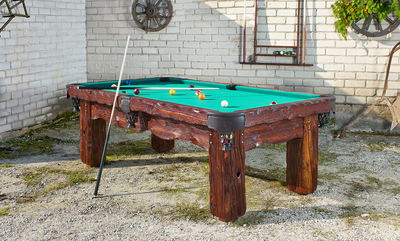 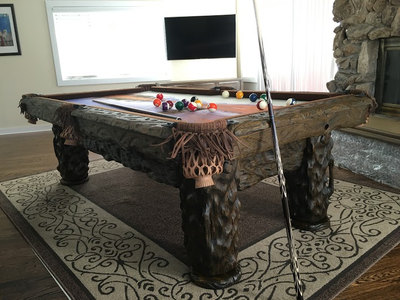 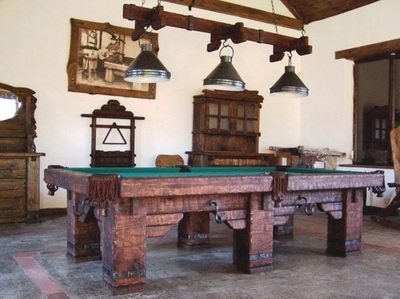 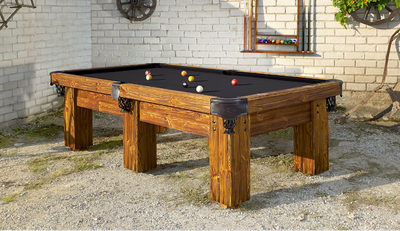 The timbers for this table were harvested in Old Mexico. 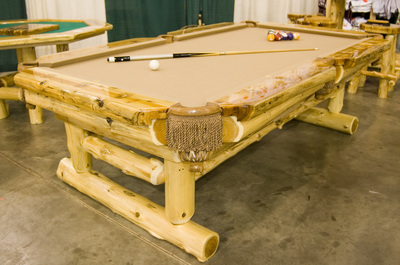 The top rails are also Palochino. 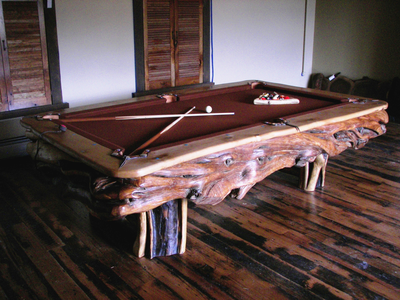 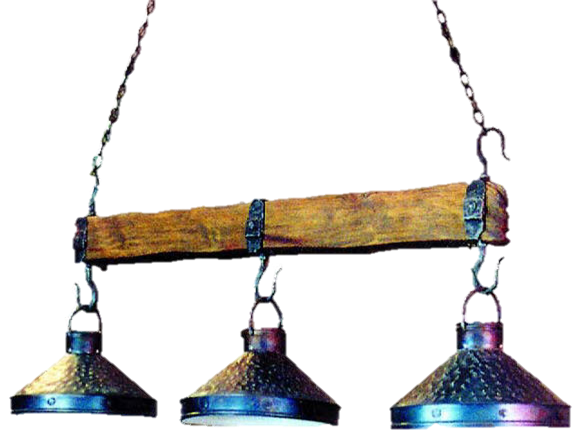 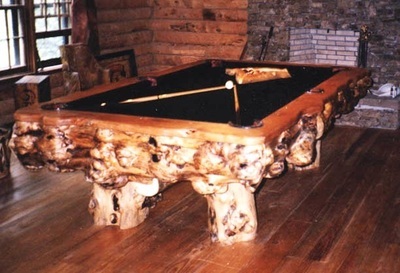 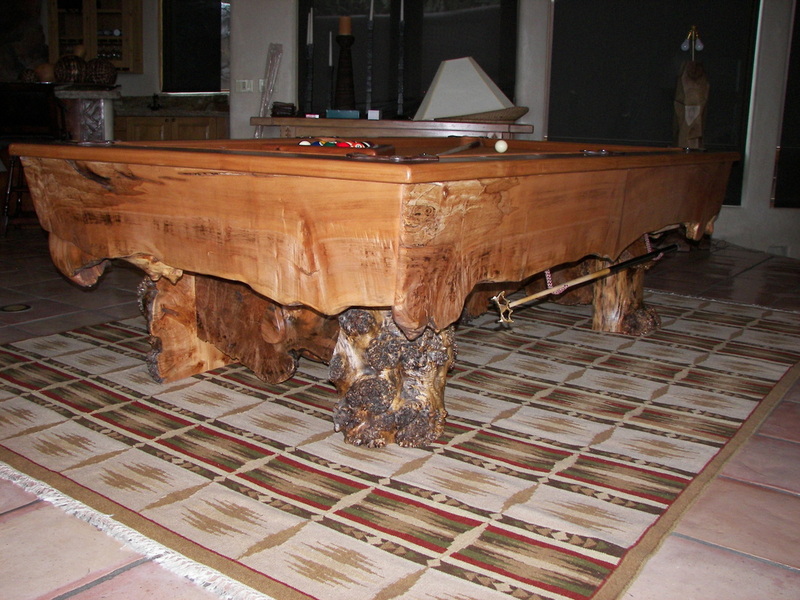 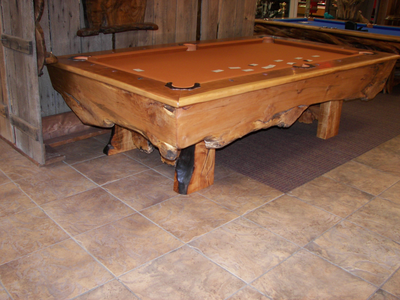 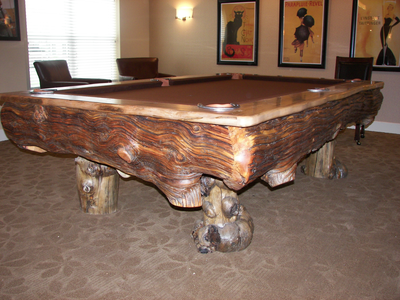 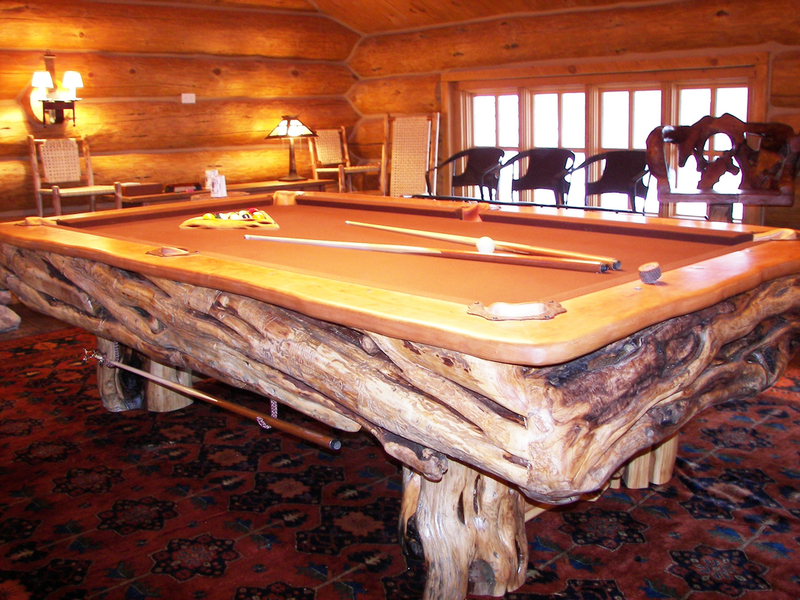 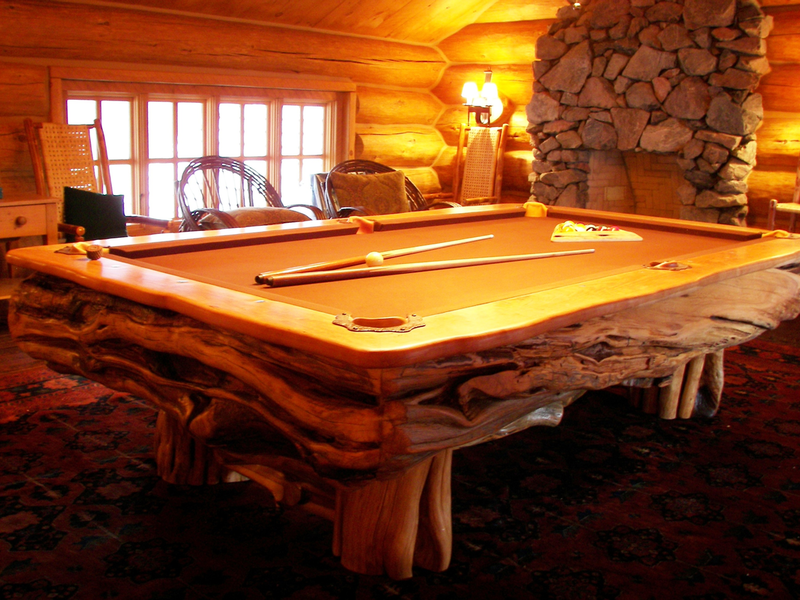 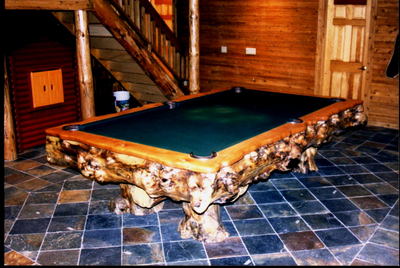 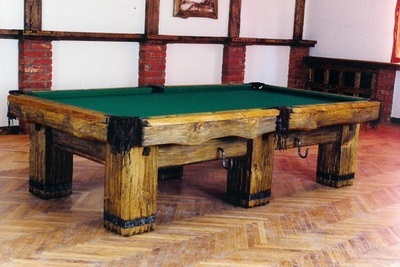 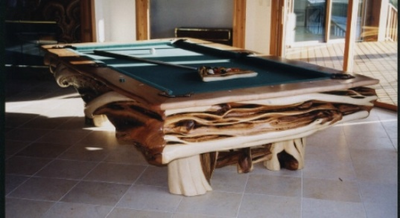 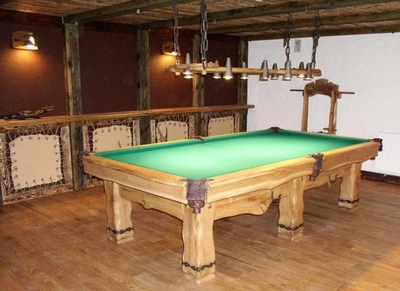 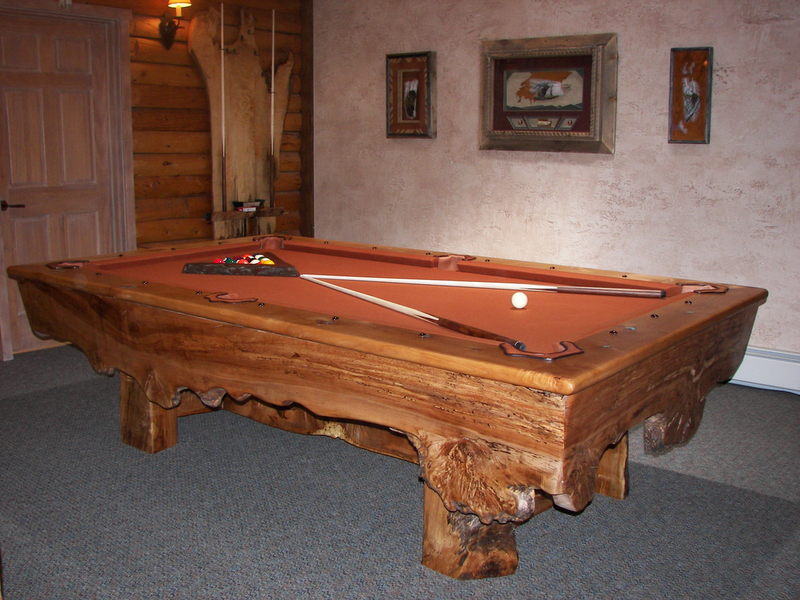 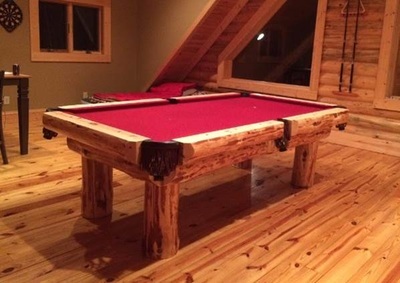 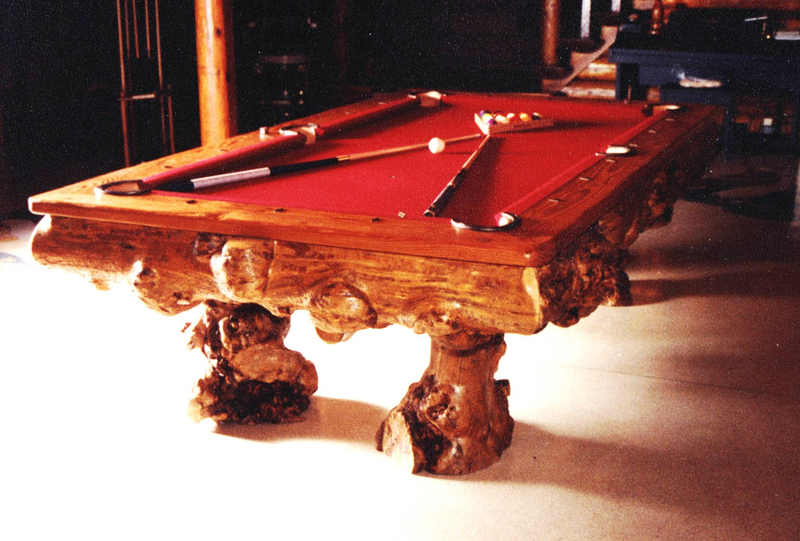 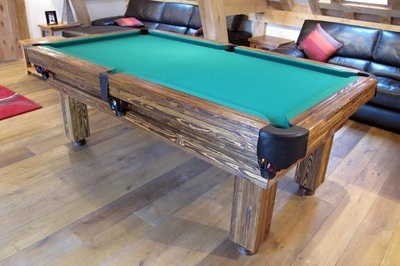 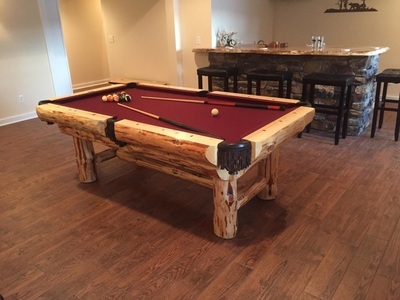 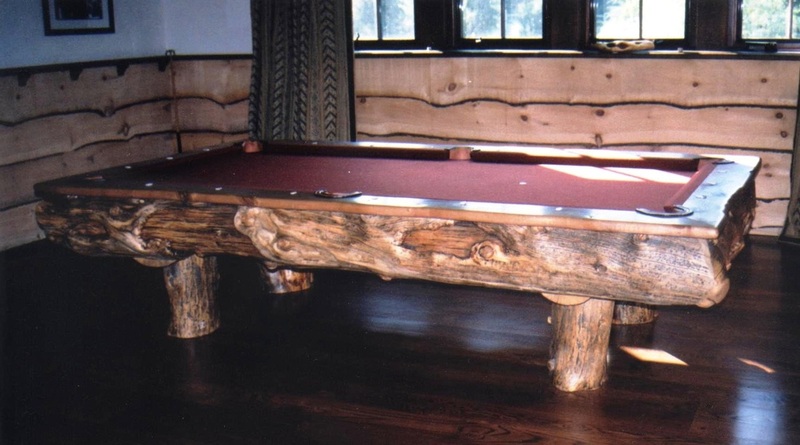 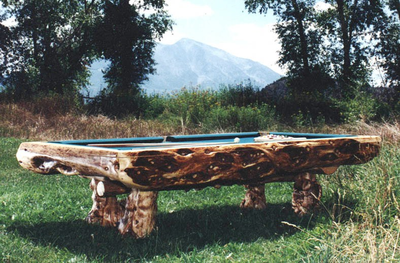 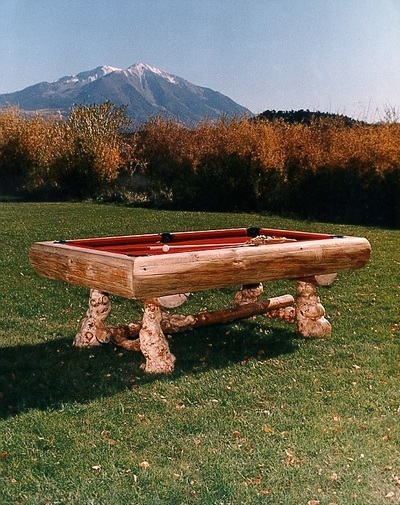 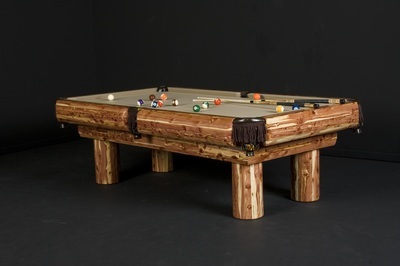 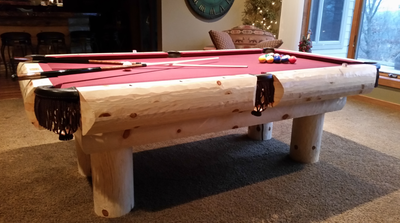 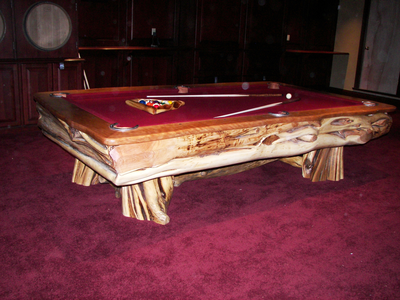 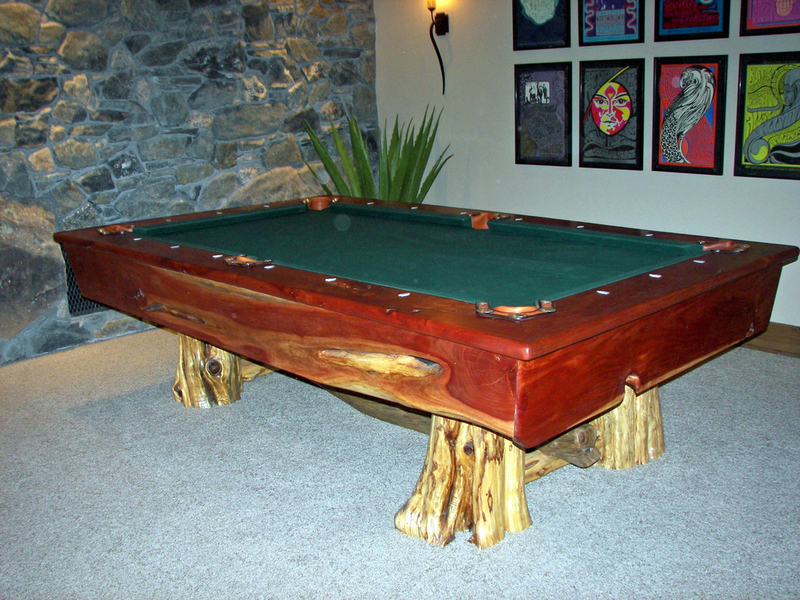 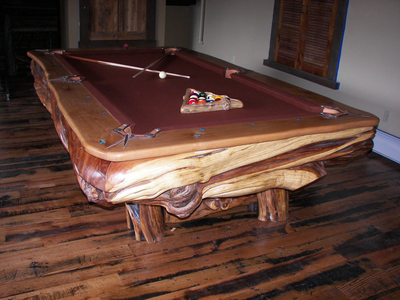 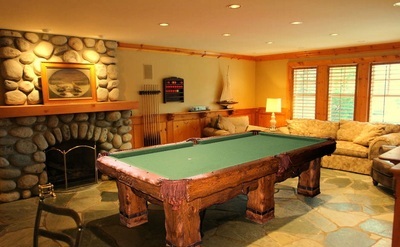 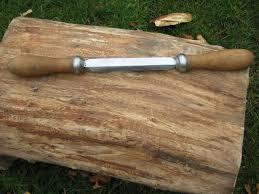 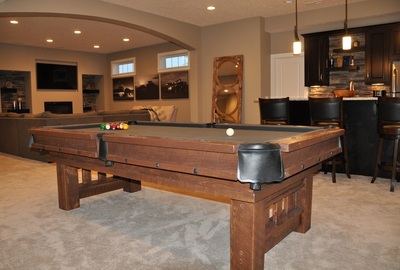 Red Cedar logs from Oklahoma were used for the table legs. 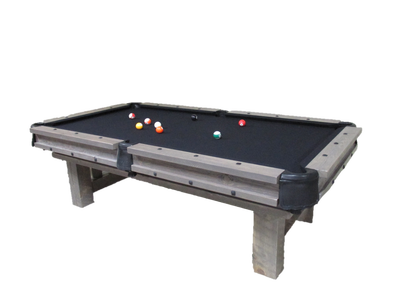 Aiming dots are smokey grey Agate from Florida. 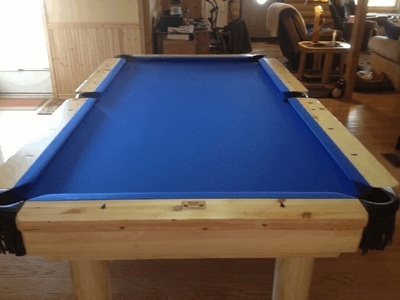 Pocket surrounds are handcrafted leather to fit BCA specifications.